In broad terms what is your government’s policy towards business immigration? Israel allows the employment of foreigners under B-1 work permits only. There are a few categories under quota for employment including construction, agriculture, nursing, the restaurant business, expert professionals and more. Israeli immigration guidelines are trying to limit and minimise the number of foreigners seeking employment in Israel. This is achieved by limiting the maximum employment time in Israel to five years and three months (on rare occasions, this may be extended if the applicant can demonstrate that he or she makes a significant contribution to the Israeli economy). Also, Israel uses quota systems for the construction and agriculture industries and for nursing. The expert professionals category does not have a quota or limit; however, the foreigner should meet certain criteria, including, but not limited to, showing that his or her expertise does not exist in Israel. In what circumstances is a visa necessary for short-term travellers? How are short-term visas obtained? A visitor or a traveller (B-2) will be issued with a 90-day visa, usually upon entry. Specific nationals (eg, such as those from China, India, Turkey, etc) are required to secure a visitor visa (B-2) in advance of, and prior to, entry to Israel. A visitor is allowed to engage in activities of a visit nature only and the visit must be short. No employment is allowed under this visa. Employment is available in Israel under a B-1 work permit, which is normally valid for up to one year. The nature, but not the length of the visit, is relevant to the need for an employment visa. A work permit for up to three months is also available; however, it requires the same procedure timelines as a one-year permit. A procedure launched in January 2014, updated and modified in February 2015 and December 2016, allows for a B-1 work visa for up to 45 days, under an expedited procedure. The 45-day visa approval is available within six business days of filing the application. An additional visa issue process needs to take place after entry into Israel. The 45 days may be accumulated during a full calendar year. The visa cannot be extended beyond 45 days per calendar year. The visa is available for nationals who are exempt from obtaining a type B-2 tourist visa prior to entering Israel (eg, nationals of Australia, Canada, the European Union, the United States, etc). What are the main restrictions on a business visitor? A business visitor (B-2) will be issued with a 90-day visa, usually upon entry. Specific nationals would be required to secure a visitor visa (B-2) in advance of, and prior to, entry to Israel. A business visitor is allowed to engage in activities of a visit nature only and the visit must be short. No employment is allowed under this visa. Is work authorisation or immigration permission needed to give or receive short-term training? Receiving short-term training from an Israeli person or entity does not require a work permit to be issued. However, in some cases, the training schedule and sponsor application should be presented to the authorities explaining the purpose of the visit. Giving short-term training would be considered as work and would require the appropriate employment visa (B-1) to be issued in advance, following the full work permit process. Someone giving short-term training may also use the expedited 45-day B-1 visa procedure mentioned above. The 45-day visa may be accumulated and cannot be extended beyond 45 days per calendar year, per individual. An expert or individual who is arriving in Israel to provide a lecture or a series of lectures may use the B-2 visitor visa as long as he or she will not be paid for his or her services (per diem may be paid) and the entity arranging the lectures will not enjoy a profit. Are transit visas required to travel through your country? How are these obtained? Are they only required for certain nationals? Transit visas are rare in Israel as the country does not serve as a passage for travelling to other countries. Transit visas must be approved by the Ministry of the Interior - the Population, Immigration and Border Control Authority (PIBA) - and may be requested at the Israeli consulate in the applicant’s country of residence or at the Israeli Ministry of the Interior in Israel. What are the main work and business permit categories used by companies to transfer skilled staff? a contract of employment signed by the employer and employee, in English and in a language the employee understands, aligned with Israeli labour laws and including confirmation by an Israeli attorney that the agreement complies with Israeli law. work permits for the expert’s spouse. A business visa category applicant is issued with a B-2 visitor visa, which covers all manner of visit activities, including tourism. What are the procedures for obtaining these permissions? At what stage can work begin? step 4: upon arrival, a full-year work visa will be issued at the airport. Shortly after entry, a request for a ‘multiple-entry visa’ should be submitted and issued at the regional office of the Ministry of the Interior that issued the visa and invitation. The expert may not leave the country until this process is finalised (may be issued within a few days of arrival). Leaving the country prior to the completion of the process may require a new invitation to be issued. What are the general maximum (and minimum) periods of stay granted under the main categories for company transfers? Each B-1 work permit is valid for up to one year. Extensions are available for up to one year at a time, allowing no more than five years and three months in total. A procedure launched in January 2014 allows the in-principle approval to be issued for a period of two years, under specific criteria. The B-1 work permit shall be issued for one year at a time under the two-year in-principle approval and shall require an extension after one year within the ‘approval’ coverage. Extensions beyond five years and three months are rare and should demonstrate a significant contribution to the Israeli economy. Additional and special procedures and approvals are needed in order to obtain work permits beyond the limit of five years and three months. The expedited 45-day visa allows a maximum of 45 days in Israel, per calendar year. The high-tech work visa allows a maximum stay of 90 days under the expedited procedure. How long does it typically take to process the main categories? Processing usually takes two to three months from submission for approval and an additional month for the visa issue procedures. The expedited 45-day visa requires six business days’ processing for approval (step 1) and an additional visa issue after entry to Israel. Is it necessary to obtain any benefits or facilities for staff to secure a work permit? The employer is committed to the employee or expert’s benefits, including health insurance, suitable housing or residency, compliance with Israeli labour law regulations, etc. These commitments are part of the employer’s undertakings upon the submission of a request to employ a foreign employee or a foreign expert. Health insurance must cover the employee’s entire stay in the country and needs to meet Israeli standard health insurance. Housing requirements are also included in Israeli regulations allowing for living and washroom space. Do the immigration authorities follow objective criteria, or do they exercise discretion according to subjective criteria? the expert should have a high managerial position and a high-level position of development in his or her industry. Is there a special route for high net worth individuals or investors? All skilled workers and experts should follow the same B-1 work permit procedures. All applications must be sponsored by an employer - either Israeli or foreign. A new investor visa (B-5) for US investors in Israel was introduced in 2016. The B-5 Israel investor visa permits the investor and several key workers in the business and their families to work and live in Israel. the business must have a plan to hire Israeli workers. Is there a special route for highly skilled individuals? Is there a special route (including fast track) for high net worth individuals for a residence permission route into your jurisdiction? Is there a minimum salary requirement for the main categories for company transfers? Yes. One of the criteria to determine that a skilled worker is an expert is by paying the foreigner a base salary or wage that should be more than double the average Israeli salary (expert salary). The employer and signatory are committed to this criterion and an accountant should confirm that the employer met this criterion upon application for a work permit extension. The authorities may address the employer at any time and request evidence of monthly payslips to meet this criterion. The expedited 45-day visa does not require the expert salary to be paid during assignment. Is there a quota system or resident labour market test? There is no general quota and there is no need to actually search the market for local skilled workers. The application, however, should explain and demonstrate that such skilled workers cannot be found in Israel. The authorities may ask for an additional explanation on this matter. There are a few categories under quota for employment including construction, agriculture, nursing and caregivers and the restaurant business. Are there any other main eligibility requirements to qualify for work permission in your jurisdiction? 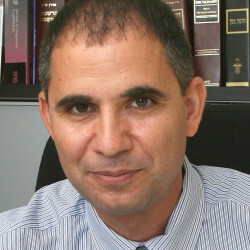 An expert category application needs to demonstrate that the expert has unique and special knowledge and experience that is not available in Israel. Newly hired employees can be issued with Israeli B-1 work permits. The employer-employee relationship history is not needed. What is the process for third-party contractors to obtain work permission? The employer is the entity who should submit the application for a work permit. The employer may be an Israeli entity or a foreign entity. The Israeli authorities examine the application and prefer a direct employer-employee relationship to exist, allowing the work permit to be issued to the entity actually employing the expert. Is an equivalency assessment or recognition of skills and qualifications required to obtain immigration permission? There is no assessment, equivalency or recognition of qualifications. However, a diploma, certificate of qualifications or expertise recognition should be provided and presented. Can a short-term visa be converted in-country into longer-term authorisations? If so, what is the process? A change of status from visitor visa to employment visa is not available. The expert should leave the country and return, after invitation, under the appropriate employment visa, if working. An extension of an employment visa is available. The process should take place prior to the expiry of the work permit to avoid a situation where the expert is in the country with no valid visa in place (waiting for the extension to be approved and issued). Short-term employment visas (under three months, which do not meet expert salary criteria) cannot be extended. The 45-day visa cannot be extended beyond 45 days during a calendar year, but this term may be accumulated. A full B-1 long-term work permit may be requested and issued after the employee has left the country, after using his or her 45-day visa. Can long-term immigration permission be extended? Each B-1 work permit is valid for up to one year. Extensions are available for up to one year at a time and for no more than five years and three months in total (see question 8). What are the rules on and implications of exit and re-entry for work permits? As long as a multiple-entry visa is issued and stamped on the expert’s passport, exit and re-entry is available without influencing the work permit. Once the multiple-entry has expired and the expert has returned to Israel, he or she will be issued with a B-2 visitor visa and employment will not be covered unless a new work permit is issued or extended. Multiple-entry permits are available for the B-1 expert category. This is not usually available for other categories, such as construction, agriculture, nursing, etc. How can immigrants qualify for permanent residency or citizenship? The ways to become ‘Israeli’ are either to marry or to live with an Israeli citizen who will serve as the sponsor of the application until the residency process is completed and an Israeli ID or passport is issued, or to be eligible under the Law of Return allowing Jewish-origin nationals to apply for residency or citizenship. This may also be achieved by converting to Judaism, which is a very demanding process requiring deep sincerity and acknowledgment by the Rabbinical authorities. Must immigration permission be cancelled at the end of employment in your jurisdiction? A work permit does not have to be cancelled upon the termination of employment. In the event of early termination, it would be necessary to report to the authorities that the expert has left the country with no intention of returning as an employee. It would be preferable to cancel the visa and the multiple-entry visa prior to the expert’s departure. Are there any specific restrictions on a holder of employment permission? The work permit is issued per employer and per specific employee. Any change with the employer or employee reflected on the expert’s visa should be reported, including the position, as this is part of the approval issued to the employer and employee. The employer may change or replace the employee as long as the former employee has left the country and his or her visa has been cancelled. The new employee must be issued with a new visa if he or she intends to replace the former employee. A change of salary need not be reported to the immigration authorities as long as the minimum expert base salary is maintained (tax authorities should be informed). The employee is allowed to conduct work only in accordance with the work permit issued. Who qualifies as a dependant? under approval for 45 days. Are dependants automatically allowed to work or attend school? Dependants may attend school but are not automatically allowed to work in Israel. A dependant may be issued with a B-1 work permit, if he or she meets the expert’s criteria and is sponsored by a company under a full B-1 expert category application. The high-tech work visa allows spouses to apply for employment authorisation. What social benefits are dependants entitled to? A work permit holder will pay either full social security contributions, or limited social security contributions if the salary is paid in the expert’s home country. Social insurance will include coverage for injury at work to the employee and his or her family members and the employer’s bankruptcy (this does not waive the need for full medical coverage according to the Israeli Health Basket requested by law for the employee and his or her family during the entire Israeli employment term). Are prior criminal convictions a barrier to obtaining immigration permission? Prior criminal records may cause the rejection of a work permit application. What are the penalties for companies and individuals for non-compliance with immigration law? How are these applied in practice? if the offence was committed by a corporation, any person who was responsible for the matter shall be charged with the offence, unless it is proven that the offence was committed without his or her knowledge or that he or she has taken all the necessary measures to prevent its occurrence. The above procedure is relevant to all sectors requiring work visas in Israel, including work visas for the oil and gas industry. The Ministry of Interior has enforcement units occasionally checking employers and work sites. Are there any minimum language requirements for migrants? Is medical screening required to obtain immigration permission? Yes. The Israeli consulates request that medical screening takes place and is presented upon the visa issue at the worker’s home country. Is there a specific procedure for employees on secondment to a client site in your jurisdiction? There is no specific procedure for secondments. All employers and employees must go through full Israeli B-1 work permit procedures. A new experimental procedure for the handling of high-tech and cyber-related applications for the employment and regulation of the status of foreign experts in Israel has been introduced by PIBA. a foreign academic graduate will be able to obtain a work permit without the need to meet the minimum salary threshold. 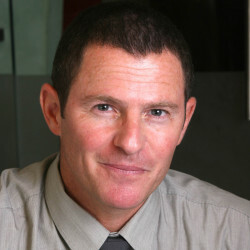 As part of the government’s decision to encourage the high-tech and cyber-industry in Israel, and in view of the importance attributed to these sectors to the Israeli economy, the above-mentioned beneficial arrangements have been established in connection with the employment of foreign experts, which will apply to companies that are recognised as technologically advanced corporations by the National Authority for Technological Innovation. This experimental procedure shall remain valid for a period of 12 months from the date of its publication in February 2018, as long as it is not amended or extended by PIBA. GTDT: Market Intelligence provides a unique perspective on evolving legal and regulatory landscapes in major jurisdictions around the world. Through engaging, easily comparable interviews, the series provides the legal profession's thought leaders with a platform for sharing their views on current market conditions and developments in the law. Market Intelligence offers readers a highly accessible take on the crucial issues of the day and an opportunity to discover more about the people behind the most interesting cases and deals. Dardik, Gross & Co is a professional law firm in Tel Aviv area specialising in commercial, civil and immigration law. The firm enjoys a strong reputation in handling both local and international cases. The comprehensive range of guides produced by GTDT provides practitioners with an extremely useful resource when seeking an overview of key areas of law and policy in practice areas or jurisdictions which they may otherwise be unfamiliar with. My experience with GTDT Online so far has been wonderful. It is so useful when dealing with multijurisdictional legal matters. Two thumbs up for such a great tool and my congratulations to all of you for making my life easier. Such a database is a fantastic tool to get access to the "basics" of many legal areas, almost everywhere. I do believe that GTDT has a real future and, according to me, it's one of the best legal database I've ever had access to in these last 10 years. Sent approximately once a month, the free GTDT Briefing service alerts you of the latest titles to be published on GTDT Online.